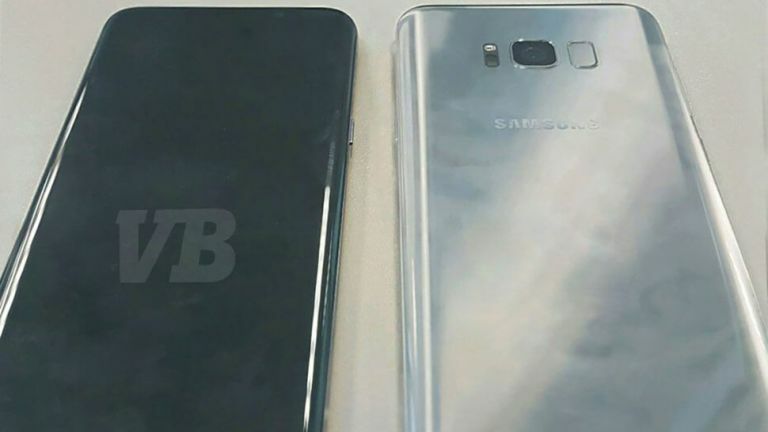 The Samsung Galaxy S8 appears to have been near totally revealed in a super leak that has spilled a clear photo and details. The reveal comes from serial leakster Evan Blass as well as a report from The Guardian. First up, there should be two of the S8 handsets. Each will feature Super AMOLED screens, dubbed “infinity display” which have minimal bezels to take up nearly 83 percent of the front panel. These will reportedly have a ratio of 18.5:9 and will come in 5.8-inch and 6.2-inch sizes. Powering the handsets is said to be 10nm processors that vary depending on region which should either be Qualcomm Snapdragon 835 or Samsung Exynos chip that are 11 percent faster than the S7 with 23 percent faster graphics yet still are 20 percent more battery efficient. There will still be 4GB of RAM, 64GB storage and microSD for 256GB expansion, plus USB-C and a 3.5mm headphone port. The cameras on the S8 are expected to be 12-megapixel and 8-megapixel both with f/1.7 and improved resolutions over the S7. The main camera can apparently perform visual searches meaning photos of text can be converted into a written web search. There is also expected to be iris scanning capabilities in the selfie camera but there will also be a fingerprint reader on the rear. Samsung is expected to launch its own artificial intelligence come personal assistant called Bixby. This can allegedly handle more complex commands than the likes of Google Assistant, Microsoft Cortana or Apple’s Siri. Also new is the apparent inclusion of an ability to connect to a monitor for a desktop view of Android, controlled via a keyboard and mouse. Plus the phone itself should feature a force touch style sensitivity at the bottom for more complex controls. The Samsung Galaxy S8 is expected to be unveiled at a New York event on 29 March. The 5.8-inch S8 should be €799 (£680) while the 6.2-inch model should be €899 (£765). These should be on sale from 21 April. Check out our round-up story of all the Galaxy S rumours so far below.